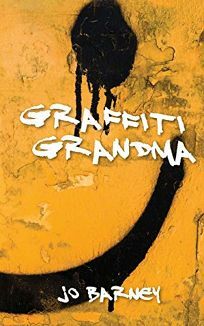 Elderly antigraffiti vigilante Ellie Miller finds that teenage street kid Sarah Jansen resurrects her long-dormant maternal instincts in this gritty yet heartening examination of the significance of family. Fearing the increasingly malevolent Jeff—who uses brutality and murder to dominate a family of runaway teens—but loyal to her friends, Sarah's conflicted yearning for guidance and friendship impels isolated Ellie into re-engagement with everyday life. Barney weaves a multifaceted narrative with quick shifts in time and focus to show how flawed individuals overcome, or are destroyed by, failed relationships. The destructive impact of alcohol, drugs, and sexual abuse on children is abundantly displayed—and made stronger by the absence of graphic or exploitative portrayals—but the struggles of policeman Matt Trommald, who care for his autistic son, and Ellie's fragile, evolving commitment to Sarah reveal that even dedicated parents face difficulty in maintaining positive relationships. The grim, understated scenes of young people coping with the seamy side of life ensure that this is no lighthearted read, and Barney's convincing portrayal of ambivalent teen psychology prevails over the perhaps too-pat ending to provide a powerful glimpse of an underground world unknown to many, whose inhabitants are capable of transformation through love and acceptance.